Kittens are a wonderful addition to every home but there are some things you should know before you adopt a kitten. 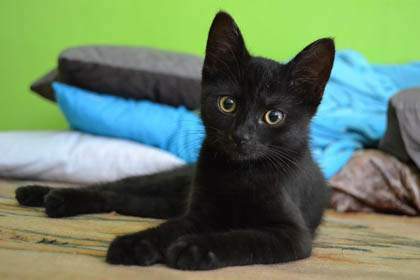 This includes information on the best age to adopt a kitten, what do you need to buy, what food should your kitten eat and how to care for your new kitten. What age should you adopt a kitten? Kittens should not leave their mother until they are at least 10 weeks of age. Not only does the mother cat provide the kitten with the basic necessities it needs such as food (milk), love and warmth, but she also teaches the kitten how to behave. That includes manners and toilet habits. What do I need to buy for my kitten? It is always recommended that you speak to the people you are adopting the kitten from to find out what the kitten has been fed. You may decide to feed a different diet, but any changes should be made slowly so, or risk upsetting your kitten’s tummy. 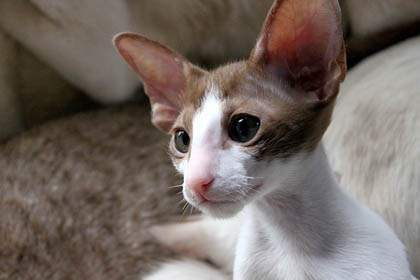 There are many premium brands of food specially made to meet the nutritional needs of a kitten. Your veterinarian can advise you on which brand they recommend. Raw chicken necks two to three times a week are a good way to help maintain the health of your kitten’s teeth. Note: Never give a kitten or cat cooked chicken bones as these are too brittle and can splinter and cause injury. 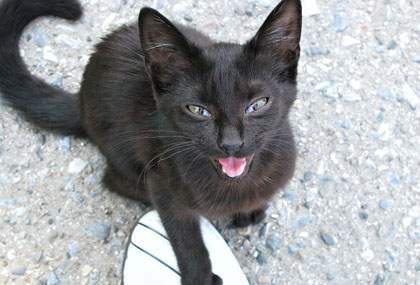 Kittens should not be fed dog food or table scraps. Can I give my kitten milk? Unless you are adopting a very young kitten that hasn’t been weaned, then the best drink for your kitten is water. 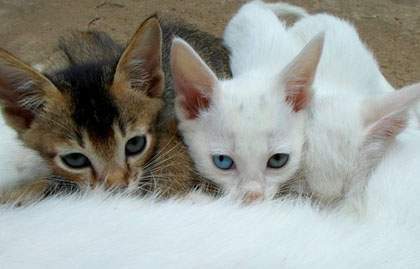 Many cats and kittens who have weaned are unable to digest cow’s milk and it can cause an upset tummy. Just like toddlers and children, kittens are able to get into trouble quite easily. 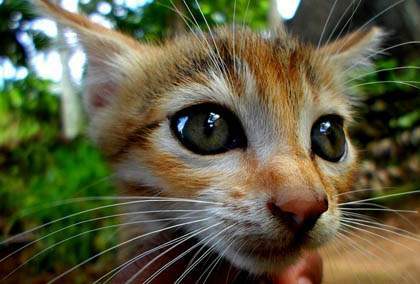 Before you bring your kitten home you should take a look at how to make your home safe for a young and adventurous kitten. Toilet. Many kittens have sadly drowned by jumping into the toilet. Keep the toilet seat down at all times. Electrical cords. Kittens like to chew things. Keep electrical cords out of reach (if possible), and if you do catch your kitten showing interest, there are products available that can be painted on the outside that have a bitter flavour and deter the kitten. Poisons. Keep poisons out of the way of kittens. Nooks and crannies. 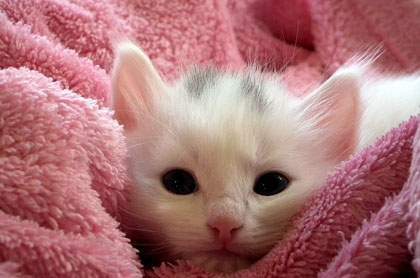 Get down on your hands and knees and look around for nooks and crannies your kitten could climb into and get stuck in. Plants: There are many types of plant that are highly toxic to cats and kittens. Decide where you would like your kitten to sleep and stick to it. If you are okay with your kitten sleeping on the beds then, by all means, do so, but don’t start something you do not plan to continue. 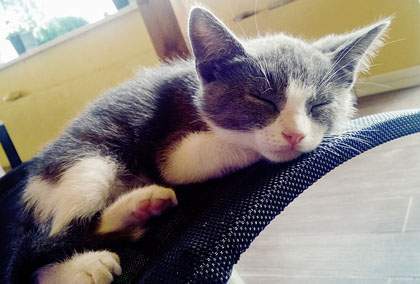 Regardless of where you decide to let your kitten sleep, a good quality cat bed should be provided for your kitten. Just like humans, cats appreciate having a warm place to sleep too. When deciding where to put your kitten’s choose carefully. Try not to put it in a high traffic area where it will be continually disturbed. Place it where the kitten can be kept warm in winter and cool in summer. This is very common in the first day or two in your kitten’s new home. It is a big change for the kitten and it will take him a little time to adjust. Give him lots and lots of love, cuddles and make him a comfy bed with a cuddly toy or a ticking clock wrapped in a soft towel. In my experience, most kittens only cry for a few days at most. It may also help to try and tire your kitten out before bedtime. Give him a good play session to burn off some energy and then feed him. This helps to mimic what would happen in the wild. Hunting and catching their prey, eating their prey and then sleeping afterwards. 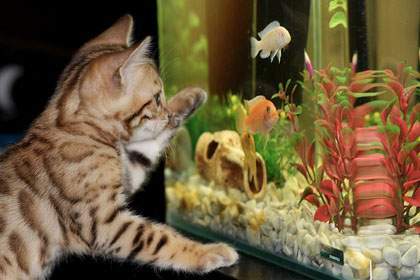 Kittens are active creatures and enjoy nothing more than an interactive game with their carers. There’s a vast array of cat toys available on the market. 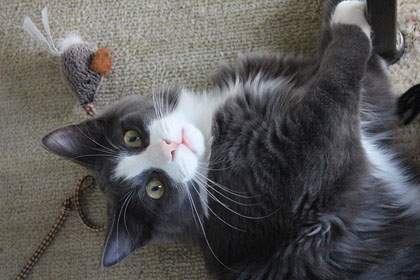 Maybe a catnip mouse, or a wand-like toy your cat can stalk and hunt. Don’t ever roughhouse your kitten with your hands. It may be cute when the kitten is little, but it’s not so cute when the kitten grows up and has been taught to attack hands. Hands should be for loving, and toys for playing! From time to time your kitten will need to see a vet. Even cats in good health should have an annual check-up to make sure everything is well. The best way to find a vet is via word of mouth from friends and family who have pets. 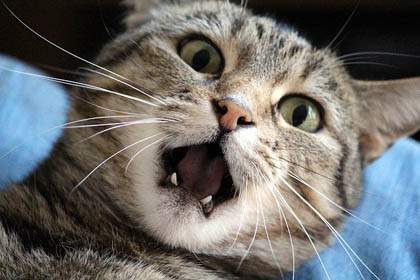 When you do find a vet, find out if they offer a 24-hour service. If they don’t, you will need to find a backup animal hospital that does provide 24-hour emergency services. There is still a fair amount of controversy as to the best age to desex a kitten which I will not go into in this article. 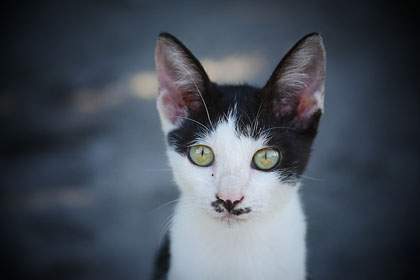 Speak to your veterinarian about the best age they feel a kitten should be desexed. With cat shelters absolutely brimming with cats and kittens desperate for a home, please don’t contribute to the problem by allowing your kitten to have babies when it grows up. It is just contributing to the problem. Despite their reputation for being aloof, cats and kittens need love and attention. Do you have the time and energy to provide this? Cats come with many different types of personality, some are content with the occasional pet, others need a lot more attention. Some like to sit within close proximity to you, others will want to be on your lap the second you sit down. But, the love you give your cat will be repaid ten thousand fold. But if you are not prepared to commit time and love to a pet, please reconsider. 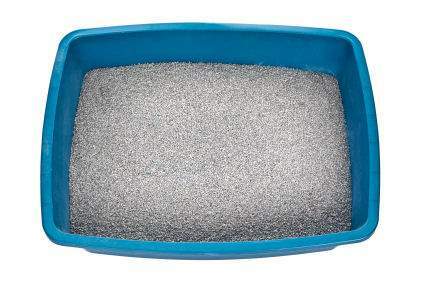 A good quality litter tray is a must. It is a good idea to buy a small tray with low sides for your kitten so that it can easily climb in and out. When it gets older you can change to a type that will suit your requirements more. This may be a fully enclosed tray, a self-cleaning tray or something else. As with food, try to use the same brand of litter your previous kitten’s care has been using and slowly change it over to your preferred brand. 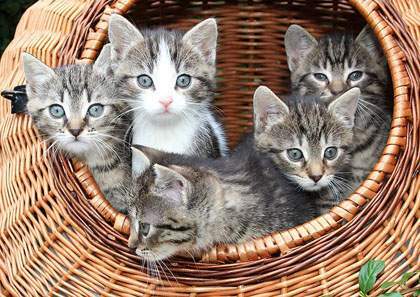 Avoid clumping litter with kittens. Cats have two sets of teeth. The deciduous (baby) teeth, followed by the adult teeth. Deciduous teeth begin to erupt around 2 – 4 weeks of age. 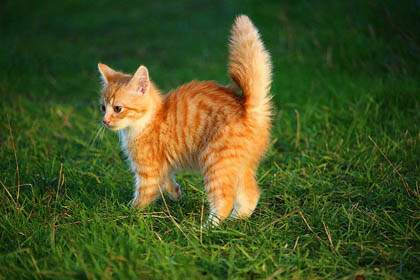 Kittens have 26 deciduous teeth. These teeth are retained until around 4 months of age when they are replaced by the permanent (adult) teeth. Often you won’t notice that the baby teeth have fallen out, they may be swallowed by your kitten. Kittens require 3 vaccinations, spaced out over several weeks. Please note: These guidelines are for Australian kittens. Each country has different vaccine schedules and you should speak to your veterinarian. Every 2 weeks from 2 weeks of age until 12 weeks of age. Every month from 12 weeks of age until 6 months. Every three months from 6 months. Fleas are a common parasite and regular treatment is necessary to keep them free of fleas. 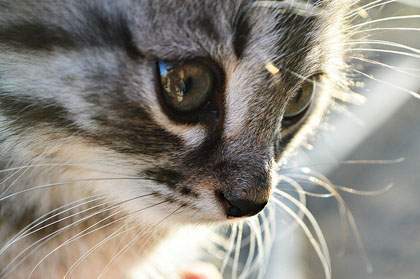 Most flea products are not safe for kittens under 6 weeks of age. 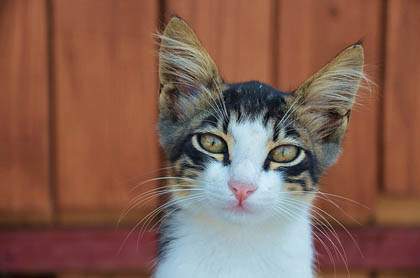 If you have a very young kitten that has fleas, they will need to be removed manually. There are many great products that are on the market to treat fleas. Some of these products also treat roundworm, hookworm, and ear mites also! Should I get health insurance for my kitten? Health insurance is a great way to help cover the cost of unexpected vet bills and usually costs only a few dollars a month. It is definitely something you should consider when adopting a new kitten. Microchipping is the best way to identify your cat. 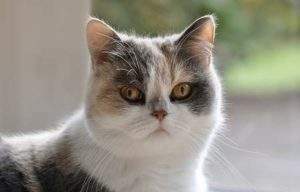 It is a small chip (the size of a grain of rice) that is inserted into the cat behind the neck. If your cat goes missing, most veterinarians and shelters have a scanner in which they will be able to check your cat for a microchip and locate you quickly and easily. The benefit of microchips is that they are permanent and can not be lost like identification tags can be. Tea Tree Toxicity in Cats-Is Tea Tree Oil Safe For Cats? 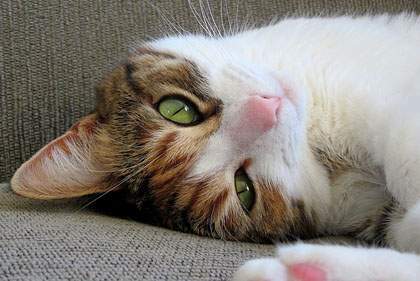 Nutritional Support For Sick Cats-What Is Nutritional Support?